In last 40 years of my clinical practice, I have seen many revolutions which could be considered as a milestone in the journey of the practice of medicine. The modern era of antibiotics started with the discovery of penicillin by Sir Alexander Fleming in 1928. The penicillin and antibiotics developed later could save millions of lives across the Globe. Development of insulin came as a much-awaited relief for patients with Diabetes Mellitus and decreasing the morbidity and mortality of patients suffering from it especially patients suffering from Type I Diabetes. Discovery of vaccines and development of immunization schedule starting from Smallpox to all against various other diseases not only brought down infant mortality rate but also saved millions of children from life-threatening diseases.In addition to this, the children were saved from many incapacitating, disabling, crippling diseases like Polio. Development of PPI dramatically changed management profile of Peptic Ulcer with better amelioration of symptoms and now very few patients have to resort to Surgery. 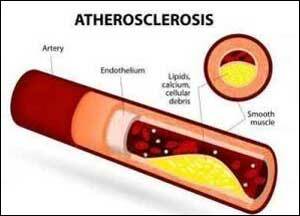 In the contemporary world atherosclerosis is one of the biggest cause of morbidity and mortality. It afflicts multiple systems – heart, Brain, Kidney and Peripheral arteries and almost 2/3 of the mortality due to atherosclerosis strikes in the form of Heart attack, Stroke, Kidney failure and peripheral artery disease.Development of the vaccine against this biggest killer can be the most welcoming happening to the medical fraternity and r the mankind. In 21st July edition of Medical Dialogue, a report has been published regarding the vaccine against atherosclerosis being ready for the human trial. Development of such a vaccine shall prevent the rampant development of atherosclerosis and thereby help in decreasing incidence of Heart attacks, Stokes, Kidney failure. In addition to this, atherosclerosis control might also impact the practice profile of many specialties including cardiology (interventional cardiology)Neurology and Nephrology. I am a firm believer and have a strong conviction that medicine is an evolving science and many such revolutions make this evolution spectacular.